Many people are positioning themselves Christians, but not worthy in my life the sacraments of Holy baptism. This belief by people is determined by faith in the heart", which did not need the Church "rites." Such thinking is not consistent with the worldview of an Orthodox person, because to believe in God means to trust Him. Therefore, trust and faith should manifest itself in the commandments of God. In Scripture the New Testament clearly States about the necessity of Holy baptism. The gospel of Matthew ends with the words of the Lord that the apostles taught all Nations, baptizing them in the name of the Father and of the Son and of the Holy spirit. Elsewhere in the Gospels Christ speaks of the necessity born of water and of the spirit, which is a reference to new Testament baptism. It turns out that the sacrament of Holy baptism established not by man but by the Lord Jesus Christ. If the person is a believer, he should show this in specific cases, to position himself as a Christian, not only in "his heart", but also in society. The sacrament of Holy baptism is the spiritual birth of the human person. About this rebirth to eternal life, and the Lord spoke in his conversation with Nicodemus in the gospel of John. In baptism a person is adopted (docurama) God, becomes a direct member of the Christian Church. This is a necessary condition for attaining eternal life (Paradise), provided that after baptism man will seek God. The Lord not only saves each person individually, but their entire Church. So depending on what attitude a person has towards the Orthodox Church and occurs the moment of salvation. According to the Orthodox doctrine of the sacrament of adult baptism all sins are forgiven. Life begins with a clean slate. Newborn granted the opportunity to forsake the former sinful life and begin the renovation of their existence. In the baptism of infants, being sinless, there is a washing away of original sin, which is absolutely all of the people who come into this world. It is in the sacrament of Holy baptism man descends the divine grace of the Holy sedlovaya newborn. 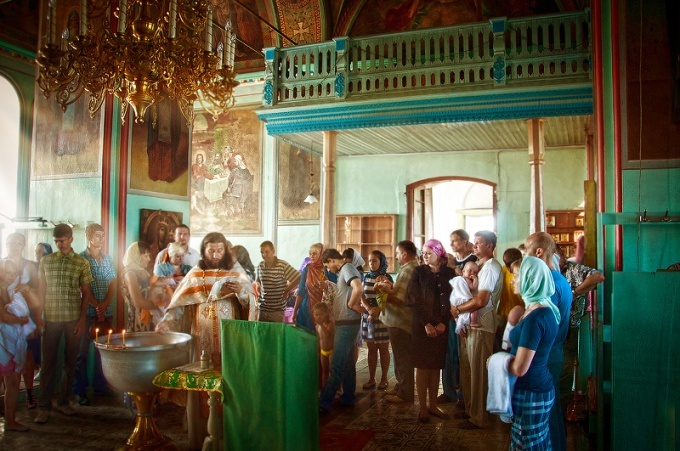 The pursuit of Holiness is the main goal and meaning of life on earth to an Orthodox person. Of course, during the life of a person loses the grace received in baptism. However, the Lord does not abandon those who believe in Him. Becoming a member of the Church of Christ (baptized), he can begin saving to the other Church sacraments, for example, of confession and communion. In addition, in the sacrament of baptism man is given the Saint patron and guardian angel. It turns out that in the sacrament of baptism is seen in the Covenant of God. Really believing Orthodox people before joining the Church of Christ should adopt this Ordinance. Baptism is not for earthly wealth, but for the future eternal life. In the sacrament of baptism man is combined with a Christ rejected the devil, manifests his will to do good, renouncing evil. Holy baptism is the first essential step to Their Savior, Jesus Christ. Throughout the later in life a believer must strive to increasingly improve and, if necessary, to cleanse your soul from sins through this closer to my Creator and Savior.